"Only love for God will enable you to live the Christian life!" Continuously updated, this collection of Martha‘s writings is for all in search of true intimacy with Christ. 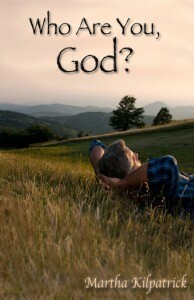 The Where Are You God? devotional series is now available on Read MK. Check back here for the latest posts, visit ReadMK.com, or sign up to receive daily devotions in your inbox each morning! To pray is not necessarily to be heard, much less answered. The worth of prayer is not in words prayed. No matter how eloquent, how long, even how “right” it is, effective prayer depends on the LIFE of the one who is praying. Prayer is not WHAT is prayed; prayer is WHO is praying! The one who “has set his love upon” God, the one who has “known His Name”—this is the one who is heard and answered. The post #22 The Worth of Prayer Is in WHO appeared first on Martha Kilpatrick Online Library.